What did you do at the weekend just gone? Me I walked round to the shops for some bread rolls and a Saturday paper, did a bit of weeding in the garden and gave a talk on pre-War commercial street photography. What did Derek Lawrence do with his weekend just gone fifty years ago? Only produced (with the help of a BBC Sound Effects LP!) the first Deep Purple album Shades Of Deep Purple. Happy 50th Deep Purple! Yes we know they did some shows before, and a few demos, but to me that trip to the Pye basement studios (at ATV house) near Marble Arch meant it all suddenly got real. How could they cut an album so quickly? Well they’d rehearsed and done most of the material either live or in previous groups, so it was all fairly well bedded in. Plus they were damn good musicians. And they had no more budget! Derek did a bit more work on the Monday, cut and mastered the first (proposed) single later in the week, EMI got on board, and the rest is, well history. History which continues to prove fascinating for many, and music which has given millions pleasure over those fifty years. The studio? Pye were there until 1989 in one guise or another, but the Sixties building where so many other great recordings were also made was demolished in 2003. Updated again… Chris Carver reminds us that DP are playing Montreux on July 19th and the Harrods Jazz Cafe are screening highlights from that event in-store as well, while Charles Ashmore comments (below) that the ROH diary has a blank week from July 22nd. DP are in Italy until the 24th then have a few days free. 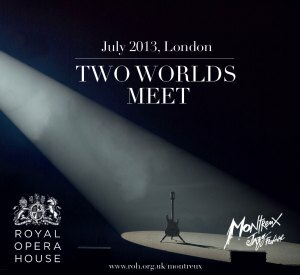 I’m now told that the ‘Montreux comes to London’ concept was actually announced last October, but despite that the Royal Opera House site still has no confirmed acts listed, only a concept poster. However you can sign up for news, by going to the page on their site. Given There is also a tie-in with Harrods for acoustic events and lunch! Our thanks to Jamie Woodward for the information.